Handmade and desgined with love, these beads are happy to be just as they are but would also love your creative input. Add sparkling gemstones or rustic seed beads... 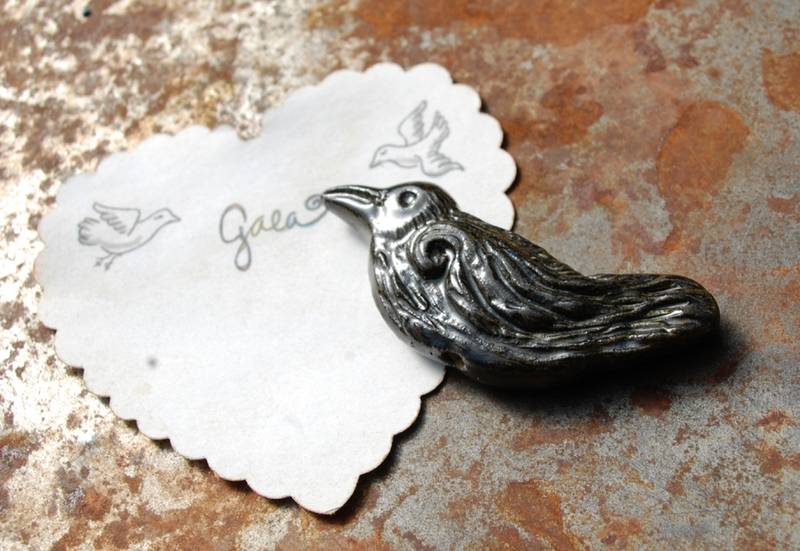 Perfect for a necklace, bracelet, or ornament. Joy, Love, Peace! For the set/bead shown... One boot pendant. Once ordered these bead will be made within two weeks (firings are early and mid month) and mailed out shortly after. Raven is about 30mm x 55mm and may vary slightly with each one. Gaea handmade ceramics are fired to almost 2200 degrees to make them beautiful and strong. May they make your project sing!